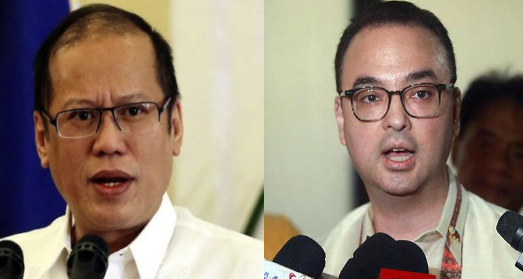 The continuing word war between former President Noynoy Aquino and Department of Foreign Secretary (DFA) Alan Peter Cayetano has filled social media with riddles and word plays, including ‘hairstyles’ only to prove whose administration poses the appropriate TRANSPARENCY in its dealings with Beijing on the disputed waters. To recall, Cayetano challenged Aquino on Tuesday to ask former DFA Secretary Albert Del Rosario of how well he handled ‘transparency’ with China under his watch. Cayetano’s latest remark against Aquino came in response to the latter’s suggestion that their methods of disclosure concerning Scarborough Shoal should be as “transparent as his hairstyle”. In an open letter dedicated to Aquino on Friday, Cayetano responded, "While we both lost some of our hair, your administration lost control of Scarborough and a great opportunity to expand tourism, infrastructure and agriculture." 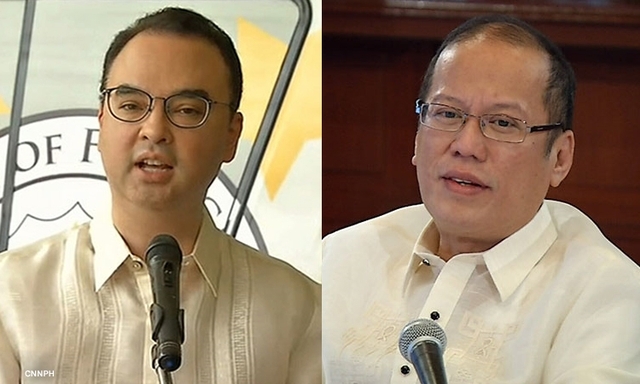 Cayetano also told Aquino that “it's regrettable that you chose to play with words, including comparing our haircuts, in responding to an immensely important issue and addressing people's main questions about the situation at the WPS”. The Secretary also called on the former Chief Executive to refrain from utilizing wordplay and instead help on answering ‘the questions on people’s minds and help enrich public discussion on the issue’. Unconquered by Cayetano’s challenge questions, Aquino responded, once again, through an open letter posted in his Facebook Page, Noynoy Aquino, saying that the former’s open letter got his attention and that all the answers to his questions could be answered merely through a ‘quick Google search’ and by utilizing available documents and the knowledge of ‘relevant personnel concerning the issue’. Truly, a decent man with the right state of mind would elude from answering queries to that of Cayetano’s that would have to require a much wider perspective instead of asking everyone to simply google – down the answers like a teacher asking a 5th – grader to read an almanac on geography. Hilarious enough, Aquino pointed out in his ‘open letter’ that regardless of the method they administered, despite the controversies on ‘’why we did, how we did it, and all the political and cultural realities that led to our decision to bring our case to the Permanent Court of Arbitration (PCA)–the results of which truly changed the equation. 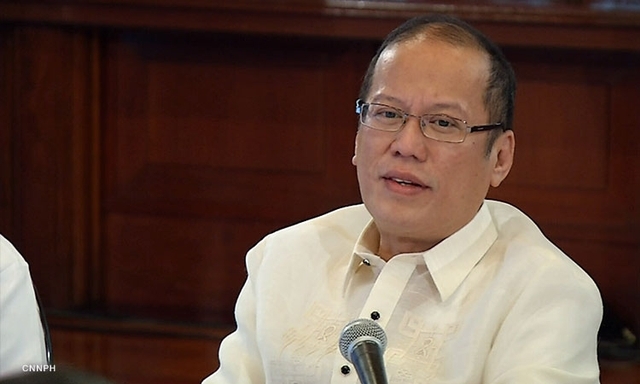 We, a small nation, were able to clarify and assert the rights of all before a superpower, China,” according to Aquino. Despite Cayetano’s plea for an earnest, informative response from Aquino, the latter, with his attempt to ‘be more constructive’ to his reply, only suggested to peruse an article which he referred to as the “July 28-August 3, 2018 edition of The Economist that speaks of China’s Belt and Road Initiative. It is entitled: “Gateway to the globe,” which he finds WORTHWHILE for a good read. Whether or not Cayetano would even bother to react to Aquino’s assertion, only one thing is clear. THERE ARE QUESTIONS LEFT UNANSWERED. Meanwhile, here’s the former head of state’s response, as of Friday night, to Cayetano’s open letter. Your open letter was brought to my attention. I would have to say that the overwhelming bulk of the questions that you put forward could be easily answered through a quick Google search, which would reveal, among others, my statements, our actions, and the positions of the parties who were involved in the matter. Further, as Secretary of Foreign Affairs, you have at your disposal the files and relevant personnel concerning the issue. What could not be gleaned from a mere review of the record and the various media reports are the details concerning the very thinking behind our actions: Why we did, how we did it, and all the political and cultural realities that led to our decision to bring our case to the Permanent Court of Arbitration (PCA)–the results of which truly changed the equation. We, a small nation, were able to clarify and assert the rights of all before a superpower, China. To respond point per point to your questions, which I suspect Beijing has likewise asked in the wake of its defeat before the PCA and world opinion, is akin to presenting them with a gold mine of information and intelligence—a playbook, so to speak—on our country and our very strategy. That would make us predictable. I believe that would indeed make your life, and our country’s position, more difficult should a similar situation arise down the line. Alan, I remember you as being very fond of basketball. I ask: Would it be wise to give your team’s playbook to your opponent?